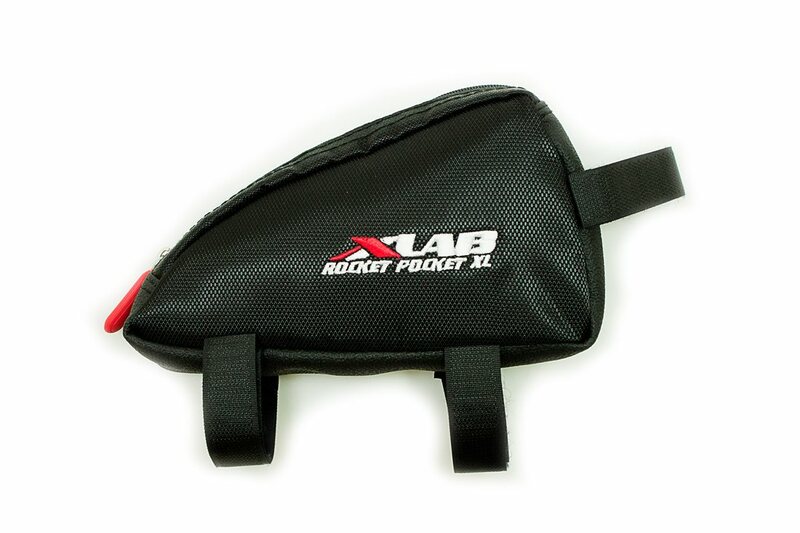 The Rocket Pocket features an aerodynamic shape and a super smooth low skin friction exterior that reduces wind drag. Holds my keys, a bar, an extra power source for my phone. Stays put and looks good. It replaced my blackburn fuel tank because this one is thin and doesn't hit my knees when I am standing. I was looking for a tool/spares bag which did not have to attach to the seatpost (dropper). This bag, when installed upside down on the bike, has done the job. Holds my night light battery and shot blocks perfectly. XL holds the smartphone and wallet right up front where they are readily accessible. Nice size, fits from road to hybrid to MTB. Use as storage for battery pack for night rides and extra fuel packs.